June 30, 2017  A gay pro athlete coming out isn't as huge a story as it once was. 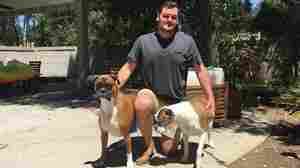 But O'Callaghan was a gay pro athlete who planned to kill himself because, in his mind, no one would accept him. 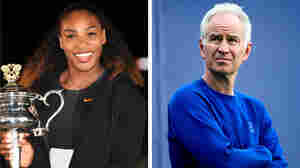 June 27, 2017  John McEnroe reignited the battle of the sexes when he rushed the net to declare Williams is "an incredible player" and would be "like 700 in the world" if she played on the men's circuit. June 24, 2017  The NBA draft took center stage this week in the world of sports, and many are wondering what the new picks will mean for championship-winning teams. 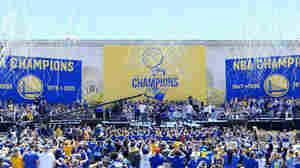 June 22, 2017  The Golden State Warriors are the new Michael Jordan, and 29 other NBA teams will do what they can – draft, trade, buy, sell – to pull closer to the champions. June 19, 2017  Diana Taurasi became the WNBA's leading career scorer on Sunday night. The Phoenix Mercury guard now has 7,494 points, an achievement earned by playing her own fierce style of hoops. June 2, 2017  The chatter ahead of this NBA Final was it would be the most competitive and evenly-matched ever. Last night's Game 1 was anything but. 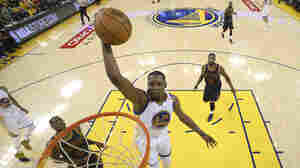 June 1, 2017  The Cleveland Cavaliers and the Golden State Warriors play Thursday night in Game 1 of an unprecedented third straight NBA Finals. 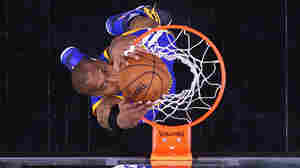 The Warriors will have to try to avenge last year's loss without their ailing coach. June 1, 2017  For NBA fans, grumbly and otherwise, the wait is almost over. The Finals begin tonight. May 29, 2017  Frank Deford, NPR's longtime sports commentator, has died at age 78. The Hall of Fame sportswriter was a mainstay on Morning Edition for some 37 years until his retirement earlier this year. May 27, 2017  It's the Cleveland Cavaliers and the Golden State Warriors once again at the NBA Finals. And what to look for in the final hours of the French Open. May 24, 2017  The NFL announced on Tuesday it is relaxing its rules on celebrations in the end zone after big plays. Previously, the league limited how players could celebrate after touchdowns and for how long. May 17, 2017  An injury to a star player following an aggressive defensive play has changed the tenor of the NBA playoffs. An uproar has ensued over whether the move was intentional and whether the league should tighten its rules. May 13, 2017  NBA fans are disappointed in this year's playoffs, due to the lack of close games and the utter dominance of the Golden State Warriors and Cleveland Cavaliers. May 12, 2017  Los Angeles hopes to beat out Paris for the 2024 Olympics bid. Members the International Olympic Committee will decide the winner later this year. But soaring financial costs may offer some surprises. May 11, 2017  Last week at Boston's Fenway Park, fans openly used racial slurs, and in one case they were directed at Baltimore Orioles outfielder Adam Jones. NPR explores if the incidents are isolated or part of a larger problem.